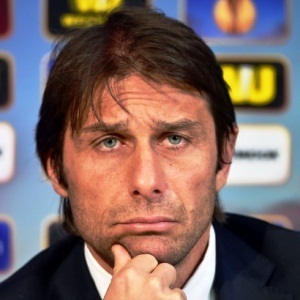 Milan - A debate over the eligibility of players born to Italians living outside the country has been reignited after criticism of coach Antonio Conte's decision to draft South American-born players into the national side. Their call-ups come as Italy look to rebuild after their disastrous exit from the first round of the World Cup for the second successive edition. But the choices did not sit well with everyone. Inter Milan coach Mancini told reporters in Rome on Monday: "If you play for Italy you should be Italian." "We do so much to train young players and in the end we draft in some oriundi (players born to Italian emigrants). It would be better to bring our own young players through. Although the tradition has not always born fruit, Italy, and to a lesser extent Spain, has a long history of turning to foreigners whose ancestors emigrated from Italy -- if their footballing talents match requirements. Buenos Aires-born Palletta even played alongside Lionel Messi and Sergio Aguero at under-20 level for Argentina, but being born to Italian parents -- and not having represented Argentina at senior level -- he easily became eligible to play for the Azzurri. Palletta made his World Cup debut in Brazil, where the four-time World Cup winners -- then coached by Cesare Prandelli -- returned home in disgrace after notably being humbled by Costa Rica. Palermo coach Giuseppe Iachini gave Vazquez his full support, and simultaneously took a swipe at Mancini. Vazquez's mother was born in Padova. "Vazquez's mum is Italian, so he's more Italian than him (Mancini)!," said Iachini. "If someone feels like they belong on the basis of an emotional bond, then all these arguments amount to nothing."